I made some spooky cupcakes for my moms club halloween party yesterday. 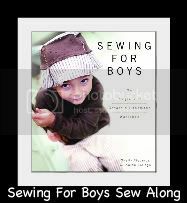 They were really easy to make. I was pressed for time so I used a vanilla cake mix for the cupcakes. My mom said she saw mummy cupcakes and they used fondant for the wrappings. I didn't have time for fondant so I made my own buttercream icing and jut put it in a piping bag with the flat tip on. Then I just made strips with the piping bag across the cupcake. I used some black gel for the eyes. I think they look pretty impressive for not spending a whole lot of time on them. Anyone have any favorite spooky cupcake ideas? those are really cute! 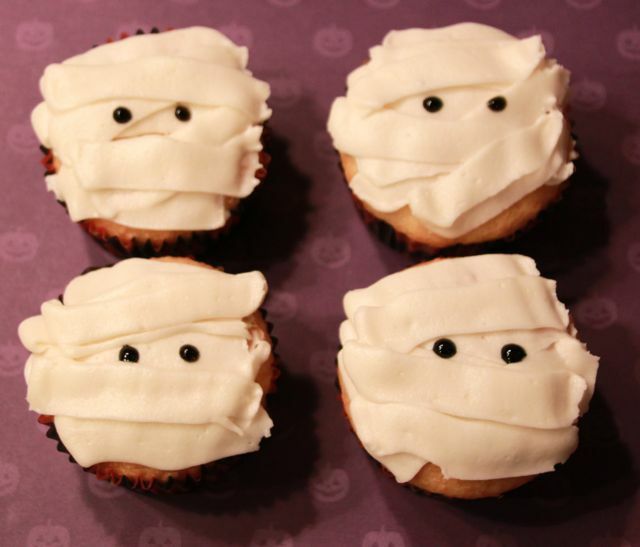 a good friend of mine is making cupcakes for our Halloween party and I requested mummy cupcakes! these are so cute!! and they totally sound like something i could handle. Hehe these are so cute!